As I wait for the return of my sewing machine I am working on my wire bound notebooks. From sales on the “Note-to-Self Mini” fabric portfolios I have learned that many people organize their lives with index cards. 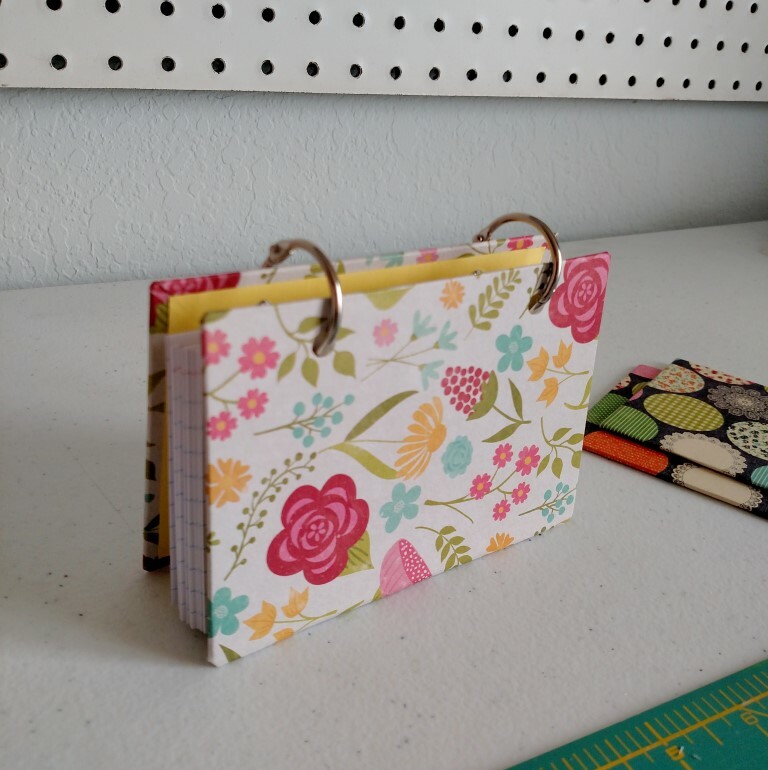 People tell me they use 3 x 5 inch index cards on a daily basis and they use the mini fabric portfolio to hold their cards and help keep organized. After some research (that has actually gone on for several months, but hasn’t been acted on) I decided to make an index card binder. I didn’t know these were so popular. However, after making one I know I want to make more! They are very cute and I can’t help thinking about all the ways index cards could help me get my act together. Index Card Binder for 3 x 5 in index cards – by giggleFritz and Co. I will be making more of these and getting them in the booth at The WB Merchantile in West Bend and in my online shops. I am not sure which size is more popular: 3 x 5 in or 4 x 6 in. Let me know in the comments if you use index cards. What do you use them for? Do you prefer the 3 x 5 or the 4 x 6. I am still antsy without my sewing machine. I have a lot of work to do and will have to get hopping when I get it home again. Until then I get to work with pretty papers and try out some new things. I can live with that! Next Article Happy Spring, Happy Easter!